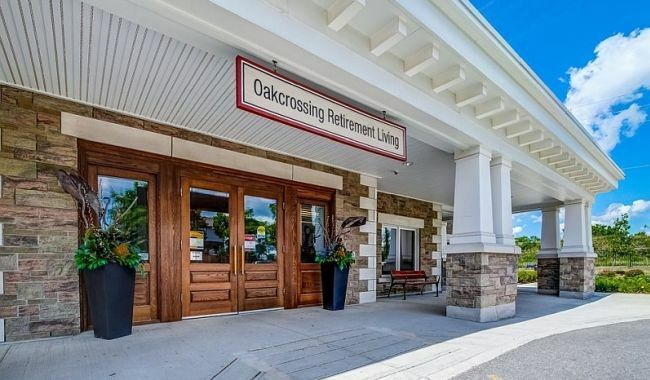 Oakcrossing Retirement Living, in the west end of London, offers independent and assisted living in an elegant new community, where seniors from throughout southern Ontario can find revitalization. Opened in January 2018, Oakcrossing has a number of lovely features that make living here distinctly delightful. In the well-appointed dining room, residents enjoy delicious chef-prepared meals. You'll also enjoy the pub/bistro, where you can form new friendships and deepen others. Lavish other features of this community include a hair salon and spa, a cinema and even a greenhouse. Each suite is equipped with dark wood furnishings, and is safety-focused, with features like hand rails and clear moving paths in the kitchen and other area. Units range from studio to two bedroom. The hospitality services here include housekeeping and laundry. Be surprised by the quality of retirement living you'll find in a state-of the art residence. 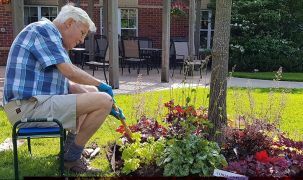 Oakcrossing is a response to the needs of today's senior who want a place that will completely transform life. 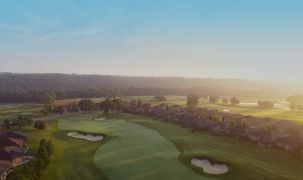 For seniors who want improvement over every aspect of life in their traditional family home, this fresh, new community offers modernity, space, and renewal . You'll cherish the new life you find in a community of peers. 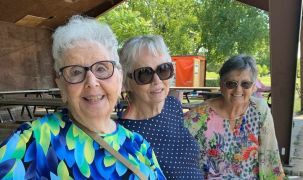 Oakcrossing is by peopleCare, care providers with rich experience in the long term care industry, having built and managed six other communities throughout southern Ontario. In October 2017, this community features a unique student live-in program, where Western University Faculty of Music students live in the community and volunteer 10 hours per week, practicing and performing instrumental music in common areas. Assisted living here is really focused on helping seniors maintain an independent mindset. The focus is on providing you with the exact care you require and nothing more. My parents are both [here]. I know they are getting the best care possible here. The staff are great. New community- more reviews coming soon!